GOING TO SLEEP NOW SO WILL REPLY WHEN I WAKE UP. Click the pic or follow this link. Some gets below the cut, picture heavy. Looking for the Jakks Monferno talking plush, as well as the Takara Tomy Infernape plush(not sure of price of this one). 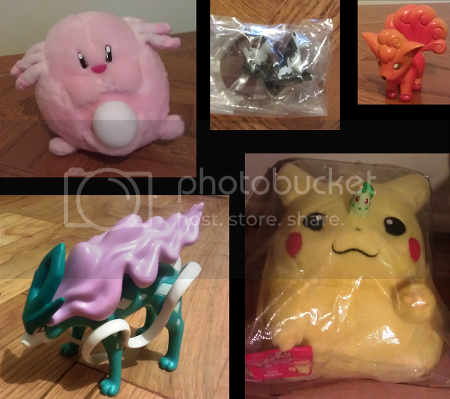 As always looking for Slowpoke line items I don't own, especially the Pokemon Time Slowpoke items(strap,bank, clearfile). Hello, today I have more items up for sale. 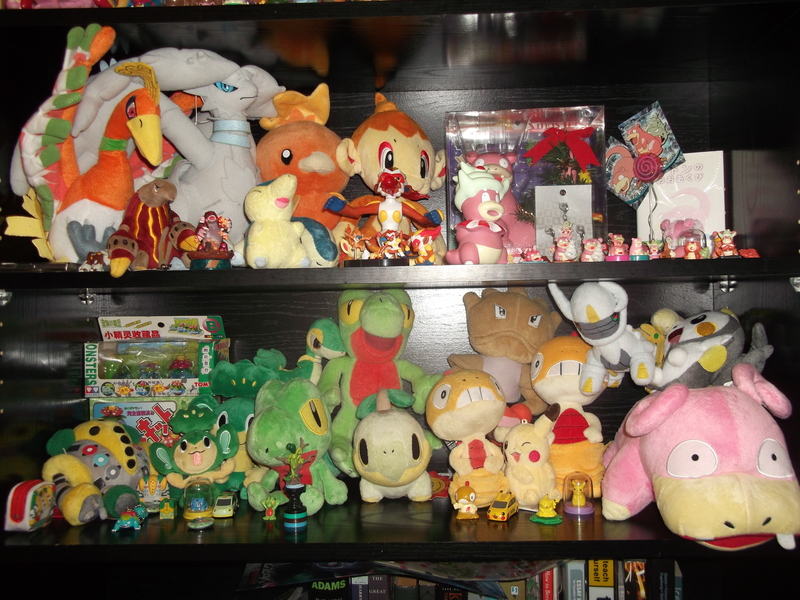 Lately, I have been dwindling my collection from misc./excessive plush. Also, I have been concentrated more on collecting zukans. I am open to haggling, but please take note that I have the right to refuse your offer. Shipping update: Everyone who purchased from my recent sales post, I have packaged all of your items and they will be shipped out by this weekend. I apologize for any inconvenience. 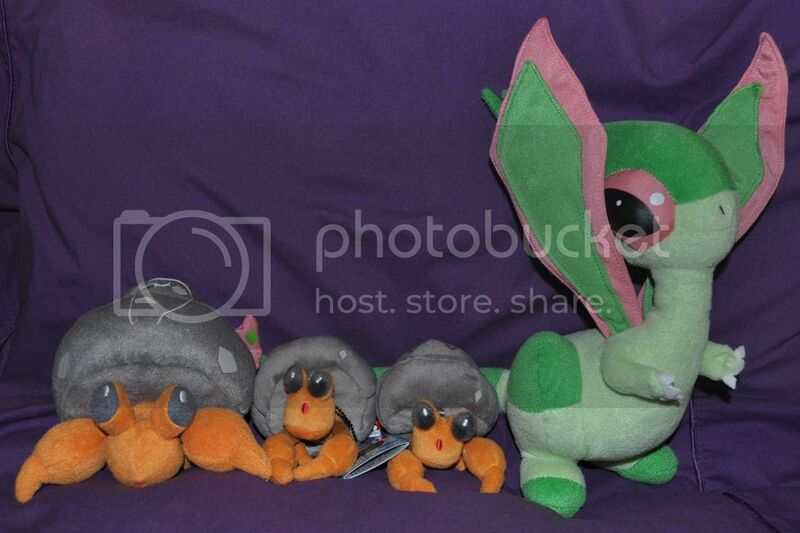 And just to make this post less boring, here is my new army of Piplup and Quagsire Kids from a large Kid lot I won. Hey folks, would anyone be interested in GAing this with me? I'll be doing threads and spreadsheets. 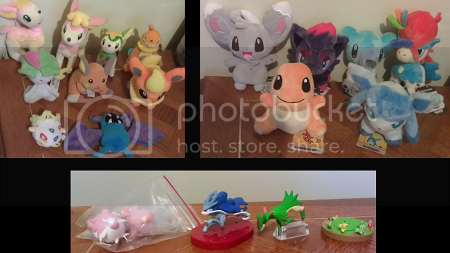 It's a Y!J lot with what looks like lots of Pokedolls, stamps, stickers, some rare Lucario movie badges, an Umbreon tin, figures, and other good stuff. 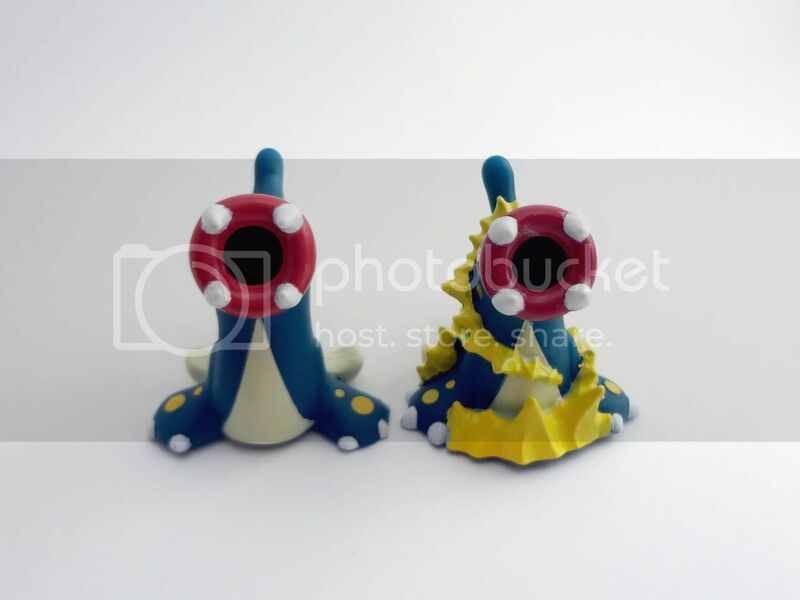 I would want to claim one of the Dawn figures. Gets: Canvas and charms arrived today ! Ok so today EMS arrived and left this in my hands !!!! YESSSS !!! now quickly before my GF finds them lol. I don't know if these are the doubles or my first in my set will contact friend to know for sure don't worry friends when the doubles arrive I will let you know here and reply comments in last post of canvases :) I haven't forgotten . Last chance for hoodie commissions! 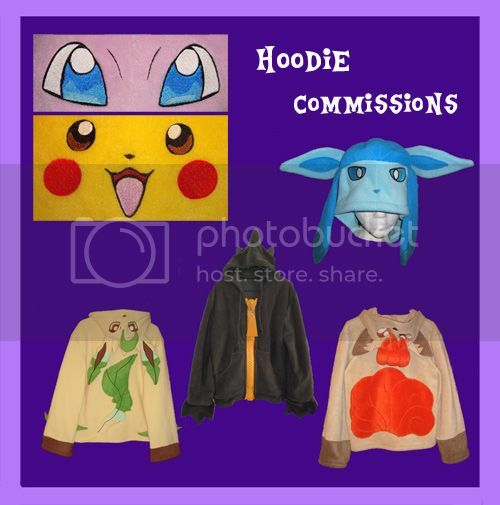 I'm now taking 1-2 hoodie commissions for completion in first quarter of 2013 (February or March). These will be the last commissions I accept, possibly ever. I'm going back to school in the spring, and between that, a full time job, and activism, I won't even have time to sew for myself. For a quote, please comment here, note me on dA, or email me at bahzi84@gmail.com I don't always get notifications of LJ messages. Hi, it's me, another member who buys stuff and never makes collection updates (or makes them like twice a year). Hey guys! Hope everyone is excited for the holidays! :D I know I definitely am! Putting up auctions thread now. Don't bid just yet Go ahead and feel free to bid away now~! I've also updated my sales a bit, feel free to check them out here! Or just click on the pic below! 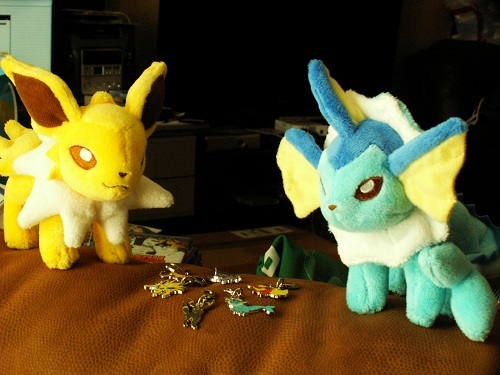 I <3 Eevee Vaporeon keychain for sale! I was reminded after I saw just another one of these posted :p I do plan on making a shop update VERY soon as well! 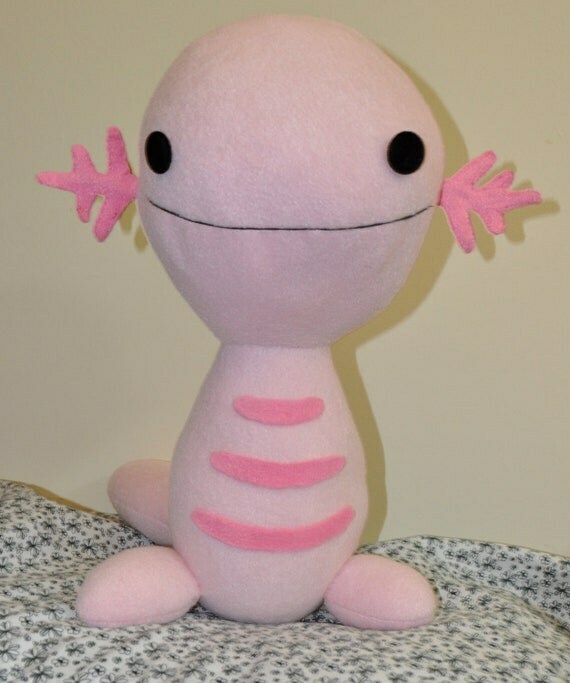 Anyhow, I decided I wouldn't be collecting the keychain plush (I jumped on them too fast, not knowing what other plush would also be released :p) so time to give him to a good home! The lil guy will be $28 shipped ANYWHERE :) Lemme know if you have any questions! Christmas Sales, Weeding and Auctions! 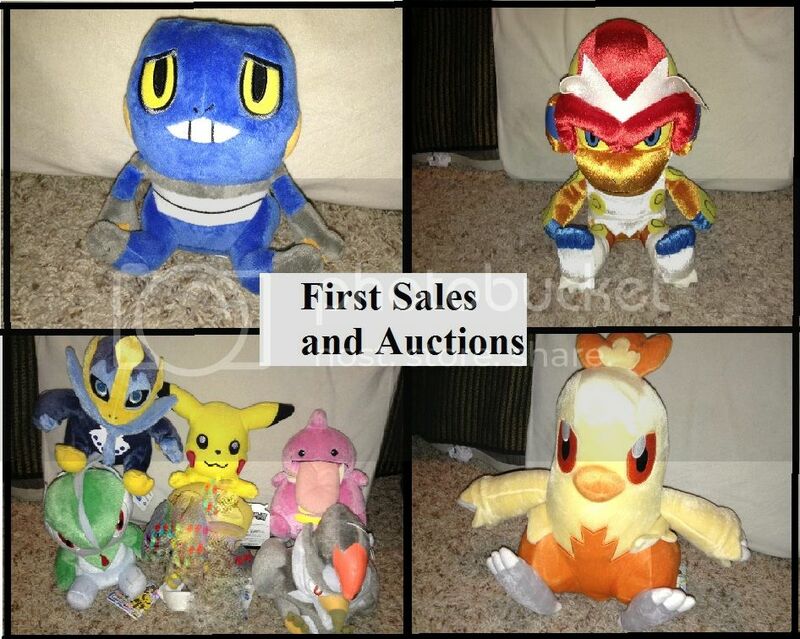 Including An Auction for a Magikarp Pokedoll! Please have a look by clicking the picture! Or you can click here! --> Click! 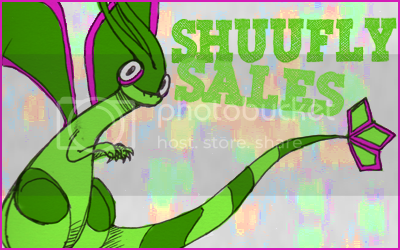 I was granted Sales Permission on 12/4/11 by Dakajojo ! If you pay before tomorrow, I can guarantee your item be shipped tomorrow morning! Click the banner to my sales! Ok so a LOOOOOOONG time ago, someone posted their grail, which was the Toshihiro Ono movie 1 manga. I thought I'd Faved it but it isn't anywhere in my links! Can someone show me where to find it again?